Women entrepreneurs sought from Côte d'Ivoire, Egypt, Ghana, Iraq, Jordan, Kenya, Nigeria, Oman, Rwanda, Senegal, South Africa, Tanzania, Uganda, and Zambia. (Geneva) – The International Trade Centre (ITC) and GroFin today issued a call for women entrepreneurs to join SheTrades Invest for a chance to receive training and mentoring on access to finance, and potentially investment for their business. Launched in December 2018 as part of ITC’s global SheTrades initiative, SheTrades Invest aims to improve access to finance for women entrepreneurs by providing training and connecting them to investment. SheTrades Invest will strengthen the financial and managerial capacity of women entrepreneurs, improve their investment readiness, and connect them to impact investors and financiers. As part of this strategic alliance with ITC, GroFin, a development finance company, will deploy risk-impact capital into vetted and eligible small and growing businesses to create economic growth and jobs for women. This initial phase targets businesses in 14 countries; Côte d'Ivoire, Egypt, Ghana, Iraq, Jordan, Kenya, Nigeria, Oman, Rwanda, Senegal, South Africa, Tanzania, Uganda, and Zambia. Please note that women owned-businesses that do not fit the initial criteria are still encouraged to apply. SheTrades is building a cohort of impact investors to facilitate the connection between them and SMEs; GroFin is the first investor out of many to join. SheTrades will reach out to additional countries in future to meet the needs of more women-owned micro, small and medium-sized enterprises. About ITC - The International Trade Centre is the joint agency of the World Trade Organization and the United Nations. 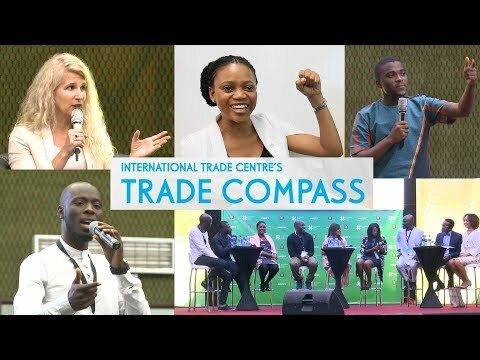 ITC assists small and medium-sized enterprises in developing and transition economies to become more competitive in global markets, thereby contributing to sustainable economic development within the frameworks of the Aid-for-Trade agenda and the United Nations’ Sustainable Development Goals. About GroFin - GroFin is a pioneering private development financial institution, specialising in financing and supporting small and growing businesses (SGBs) across Africa and the Middle East, with headquarters in Mauritius. GroFin combines medium term loan capital and specialised business support to grow SGBs in emerging markets, delivered through their local offices. By successfully combining medium term loans and specialised business support, they have invested in over 700 SMEs and sustained over 88,150 jobs across a wide spectrum of business activities within the operating 15 countries in Africa and the Middle East. GroFin is a trusted partner of more than 30 international development finance institutions, including CDC Group, European Investment Bank, FMO, Finnfund, Kfw, and IFC.